Affluent travelers have already explored London, Paris, and Rome; played golf on Scottish links; learned how to make pasta in Italy; and watched penguins waddle in Antarctica. Now many have moved beyond sun tanning and sightseeing. They want to continue to enjoy travel but also to use their skills and resources to benefit the places they visit. That’s why international vacations with some component of volunteer work—often called voluntourism—rank among the fastest-growing trends in travel. 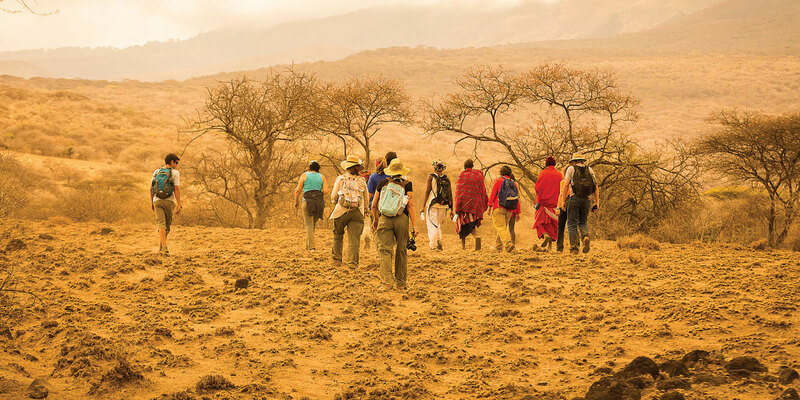 Nancy Gard McGehee, an expert on sustainable tourism at Virginia Tech University, says that each year, as many as 1.6 million volunteers spend up to $2 billion on such trips. The opportunities are diverse. You can assist with trail work at Machu Picchu in Peru, save leatherback sea turtles in Costa Rica, feed baby pandas in China, or help install solar panels on schools in Nicaragua. Or you can teach English or deliver medical supplies almost anywhere. In the face of disasters, such as last year’s earthquake in Nepal, organizations call for funds, supplies, and volunteers. Sambhav Nepal and Ace the Himalaya, two charitable groups previously working in the area, used volunteers to distribute rice and lentils, tarps, and roofing sheets. Doctors Without Borders offered medical aid. Hastily assembled volunteer programs helped to rebuild houses destroyed by the quake. 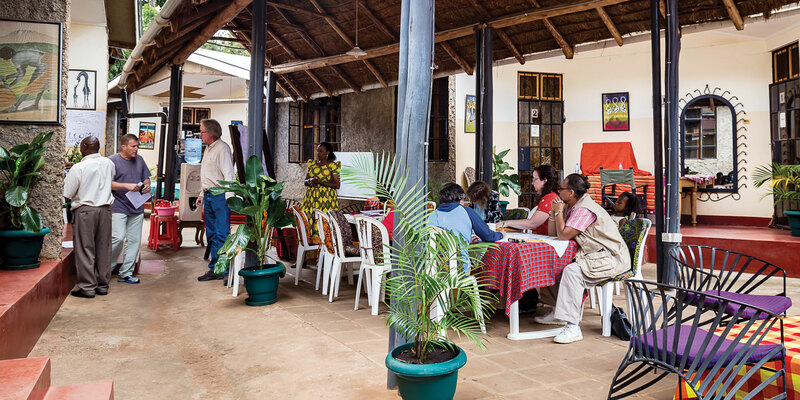 The main purpose of a volunteer vacation is to put yourself at the service of the host community and to contribute to community-driven projects. Sponsoring organizations arrange itineraries that bring people together to perform practical work while fostering cultural understanding. Most of these organizations are international nonprofits with no political or religious affiliations; others are for-profit tour operators. Some groups specialize in trips for teens and college students, families, and the 50-plus crowd. 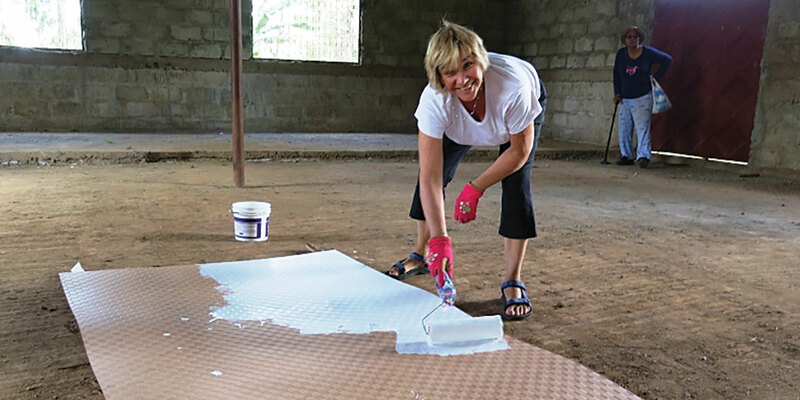 Projects Abroad’s Projects for Professionals offers programs designed specifically for graduates, professionals on a career break, and retirees who wish to do volunteer work in a developing country. The group matches each volunteer to a project where his or her knowledge will have the greatest impact. The cost varies considerably, depending on where you’re housed—whether you’re living with a host family, sleeping under the stars, or staying in tent camps, dormitory rooms, or more luxurious lodges. While these tours benefit residents, wildlife, or cultural sites, volunteer vacations are also a way for participants to give back to themselves. Such was the case with my 14-day trip to Tanzania last summer. The adventure grew from a yearning to visit Africa and a desire for a meaningful way to celebrate a momentous birthday. I wanted an authentic experience, a non-touristy, hands-on cultural exchange where I could give and interact with locals on a daily basis. Discover Corps Experience Tanzania allowed me to do just that. I stayed, along with 11 other participants, at its lodge in Moshi. It’s not a fancy hotel but rather a comfortable facility with eight bedrooms, en-suite bathrooms, and a staffed kitchen. The first morning, the group gathered for an orientation and a quick Swahili lesson. Later that day, neighbors from the surrounding village were invited for a meal. Before we ate, Mama Simba, our director, asked everyone to explain how they made their livings. These introductions were not just for the sake of the volunteers’ knowledge, but a way of socially connecting those within the community. Discover Corps assigned each volunteer to a family: mine included Justin, a bilingual safari tour guide, his sister, and his aging mother. I followed as they led the way down a rutty dirt path to their house for a visit. The family maintains a compound with some 20 multigenerational members living in connecting houses that would be deemed shacks in the U.S. The kitchen is the fire pit; a goat acts as a garbage disposal. The family members were gracious hosts who treated me as an honored guest and engaged me in friendly conversation, using Justin as the interpreter. On a later visit, they checked up on my activities, and I inquired about their needs. The bulk of my volunteer work took place at a public elementary school. The understaffed campus has no electrical power except in the office. The food-service staff consists of a lone woman who cooks cornmeal and beans over an open fire for all 425 children. The students eat sitting on the ground. 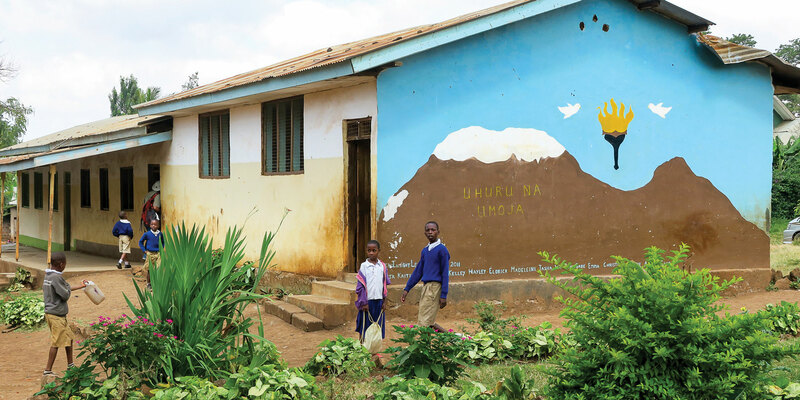 One water source—a pipe coming from the garden area—supplies the entire school. The children bring empty containers from home and fill them to water the plants or use in the classroom. Some tiny tots haul the heavy water containers home to their families. The toilet facilities broke my heart. 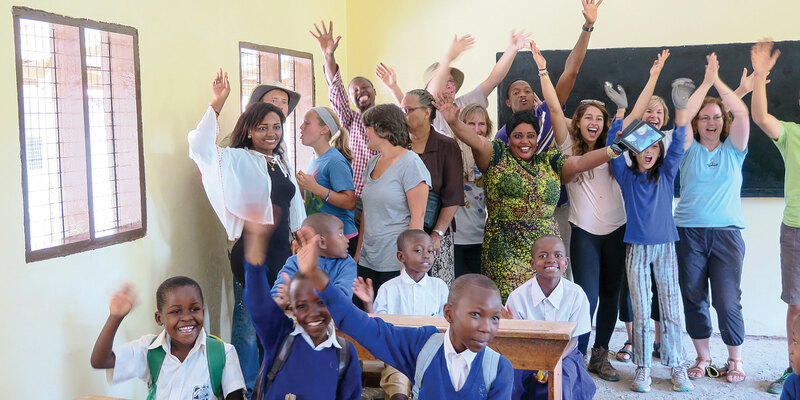 in partnership with the National Peace Corps Association—paired up the volunteers and assigned us to a teacher and her students. Following the lesson plans, we helped teach English, assisted with pronunciation and comprehension, introduced silly songs, and corrected homework assignments one-on-one. We noticed that the school lacked textbooks (often two or three students had to share), so my group decided to purchase additional primers with our own funds. 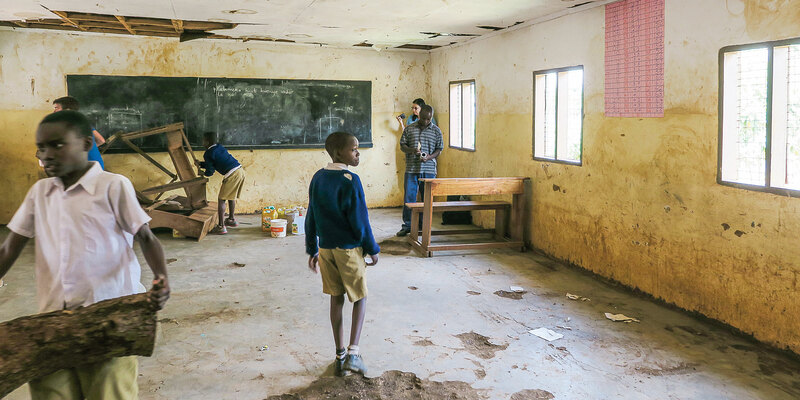 Following the English lesson, we changed into work clothes and began renovating a substandard classroom. We tore down the dilapidated ceiling, scrubbed furniture, and prepped the walls before giving them fresh paint. 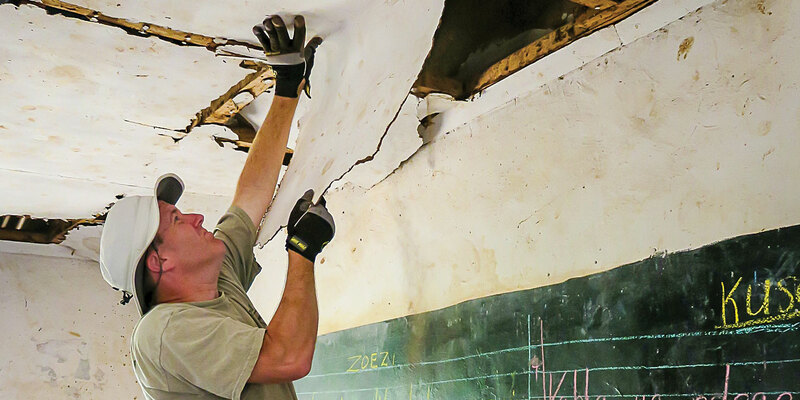 The men in my group installed the new ceiling with the aid of a local handyman. When we finished, the renewed room, although not up to OSHA standards, looked bright and cheery. 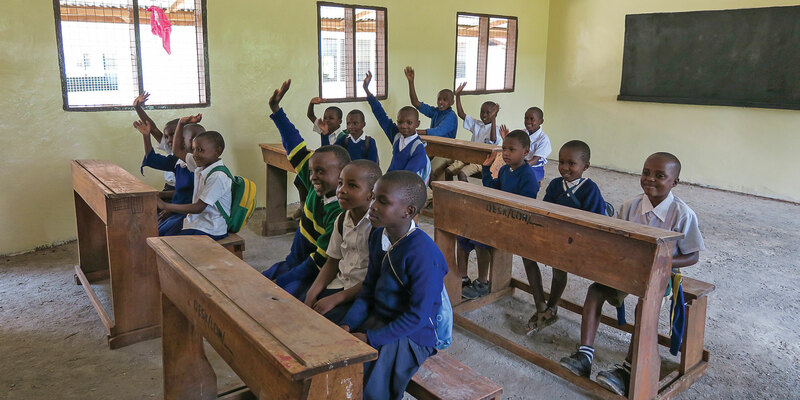 Another volunteer project on my Tanzania trip involved visiting children in an orphanage. (HIV/AIDS is to blame for a rise in the numbers of homeless African children.) We brought them supplies and our love; they returned smiles and hugs. We were also treated to a full-day cross-cultural exchange with the Maasai as well as to dance performances, a batik painting lesson, and two photo safaris in the national parks. Perhaps the question to ask is whether small, personal acts of kindness, and the spreading of understanding between people and cultures, can help effect lasting change. While my own experience in Tanzania benefited me by opening my eyes and heart and giving me new insights, it also, in some small way, helped the community I visited. I would travel as a volunteer again, and I encourage others to explore the possibility as well. • Always ask what people need or want; don’t assume you know. • Research and patronize nonprofit businesses that support others. • Make sure the organization you volunteer with has a lasting positive impact on the communities it serves. • Instead of giving cash, which can easily be misdirected, buy local handicrafts and give goods. Toothbrushes, notebooks, pens, and books can all be meaningful contributions. —D.L. Interested in a volunteer vacation? You’ll find comprehensive databases of international opportunities with reviews by past volunteers at VolunteerAlliance.org and Idealist.org. Debi Lander (dlander@bjtonline.com), a regular contributor to these pages, is a Florida-based freelance writer specializing in travel subjects. 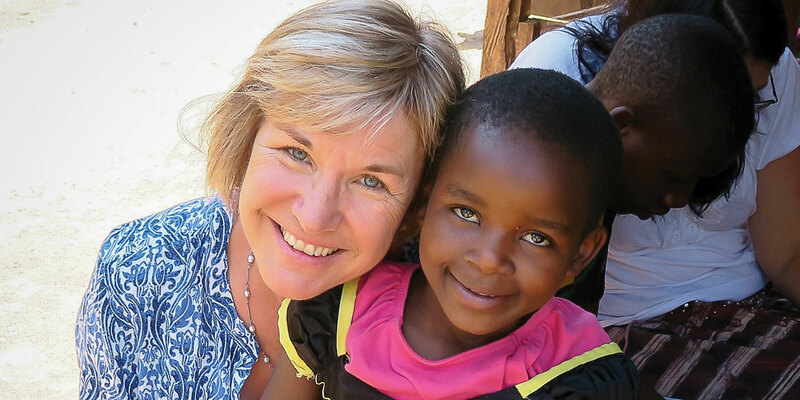 Her flight to Tanzania and Discover Corps experience were self-funded. Lending a hand and helping the community who are in need is very rich in humanity. People may suffer loss due to various reasons such as natural disaster or man-made disaster such as war which affects the socio-economic development of the country. Volunteering is one of the great ways to help the people who face loss and living in unhealthy condition. For helping them and lending a hand there are many non-profit organizations that are available such as mission humanitaire ( http://www.mission-humanitaire-afrique.org/ ) and many more by joining which one can help the community and works for humanity.